1. Dealing with a licensed motor vehicle dealer is a lot less risky than buying privately. You never know if the person buying the car is actually its owner or if there is money still owing on the car. You could end up shelling out for something that ends up being repossessed. 2. Plan carefully. It’s only too easy to be seduced by the good looks of a vehicle in the car sales yard and make a dicey decision that you’ll end up regretting. Know what you want before you go and keep this in mind at all times when dealing with a salesperson. You will need to do your homework and follow the checklist, and this will inevitably involve a bit of research. Brochures from the manufacturers are good for looking at the technical specifications and the differences between model variants, but manufacturers’ reviews are obviously biased – they want you to buy the car so they will naturally make it sound good. Independent reviews such as our comprehensive car reviews are important for finding out what the car is like for reliability, practicality and handling. Use the internet and call the NRMA technical advice line (free to members) for more details. Some independent reviewers have their biases, too (e.g. the Dog and Lemon Guide or the TV show Top Gear ), so make sure you read several different independent reviews rather than just one or two. 3. Gather together any information you have on the car including reviews, manufacturer’s specifications etc. Pop a calculator into your shopping pack too. 4. Talk to people who own the vehicle you are interested in – and your local mechanic. Friends and family are likely to be honest with you about what the car’s like and, if you’re lucky, can let you have a drive to see how it handles. If you don’t know anyone who owns what you’re interested in, then you can try talking to a stranger who does own one if you meet them in a car park – most people are happy to talk about their cars and take your interest as a complement. You will, however, only get a quick “review” this way. 5. Consider your accessories and options: will you buy all the options you want through the dealer or not? Buying them through the dealer may be convenient, but you may pay more than if you bought the parts after the purchase from an independent retailer. You’ll also save on stamp duty for imported parts (remember, though, that many people value ‘genuine’ options more highly). 6. Decide before you go whether you will trade-in your current vehicle or sell it privately. Accept that the wholesale price for your vehicle will be a lot lower than a potential private sale price – the dealers have to make a living somehow, so they need to make a profit. One way to reconcile yourself to this is to be philosophical about it – if you’ve sold it for so many thousand dollars less than you bought it for, did you get that amount of driving pleasure, mileage and convenience out of it? If you did, then you got yourself a good deal. Private sales have their own hidden snags, including the worst-case scenarios of people who try to pay with bouncy cheques or those who make off with your car when test-driving it. Yes, you have a legal comeback, but it’s a lot of hassle. 7. If you are trading in your car, concentrate on the changeover price, as that is what an upgrade will ultimately cost you (be aware that the wholesale value of your car will always be way less than you think!). 8. For both buyers and sellers, auctions (both the live and online versions) can be terrific or torturous. If you are buying in an auction, be very, very sure to check the car you are interested in out thoroughly. Also beware of giving in to “auction fever” where your competitive urges can cause you to exceed your budget in a drive to not be outdone by a rival bidder. Never buy a car in an online auction unless you can check it out thoroughly and get it to your door easily. 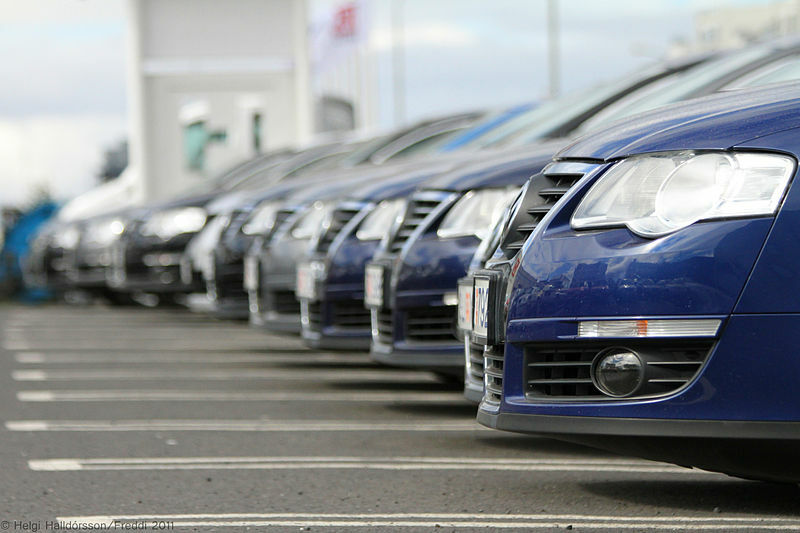 If you sell your old car in an auction, be aware that you may barely reach your reserve price. Once again, you will need to be philosophical about the price you will get for your car. While it is possible that someone will succumb to auction fever regarding your vehicle so you get a brilliant price, it might not happen. 9. Set yourself a budget before you go. Write down this budget on a piece of paper and stick to it! No exceptions, no excuses. And don’t be suckered by some persuasive “nothing to pay until x” or other too-good-to-be-true financing deal that still has you paying more than you have budgeted for (remember to budget for how much you are willing to repay on a weekly/fortnightly basis and for how long). 10. If you are financing, seek a pre-approval before you go out shopping. If you have already built up a good reputation with one finance company in the past, you may be able to negotiate a good deal. Also, you can shop around rather than having to take the finance package and company the dealer works with. 11. Take a friend. The ideal friend for this purpose is one who will stop you buying on impulse and who knows how to spot a sound vehicle. Taking a spouse along has advantages and disadvantages – your spouse also has to live with the budget and has a vested interest in you not giving way to emotions, but a husband-and-wife team in a car sales yard simply shouts “serious shoppers, not dreamers” to salespeople, increasing your chances of being hassled. In this scenario, do your homework about the type of car you want beforehand – having a row about whether you should be buying a 4×4 or a sports car in front of the salesperson is not a good idea. A friend can also back you up when negotiating with a dealer – strength in numbers! You can also work as a team when checking the car out (e.g. seeing if black smoke pours out of the exhaust pipe when the accelerator is pressed needs two people). 1. Be firm but fair with dealers. Don’t do a Dutch auction (i.e. taking one dealer’s price to the next dealer and asking them to beat it, then doing the same with the next dealer and so on). Shop around by all means but promise to buy the car from the dealer who delivers the lowest price. 2. Be careful of the ‘sacrificial lamb’. This is the car advertised at a massively discounted price but when you turn up it has “sold” or the dealer tries to talk you into something else (this is also known as the bait-and-switch method). Stick to your guns and buy that “sacrificial lamb” – assuming that it’s in good condition and it existed in the first place. If it’s sold, turn around and walk away unless you can see another car for a good price. 3. Do some basic mechanical and soundness tests when buying used cars. You should also get a pro to check the car out (and you will have to pay for this if you want it done well) as well, but dicey vehicles can be eliminated at this stage. Check for rust and dents at all angles and everywhere you can think of. Rev the engine and look for black smoke. Make sure the tyres have deep enough tread. As ex-overseas used cars can have the clock wound back, make sure that the amount of wear in the car matches the mileage – good places to check are the carpet and the upholstery, the clutch pedal and the gearstick knob. If it looks very worn – or suspiciously new and doesn’t match the rest of the car – then get suspicious. Don’t just use your eyes but use your ears (for creaking, backfiring and squeaks), nose (musty smells that indicate leaks) and sense of touch (dents and smoothness). Make sure all the gages are working perfectly. This process is known as “kicking the tyres”, but this particular action won’t tell you much unless the tyres are badly underinflated. And don’t be fooled by cosmetic touches like shiny black tyres or air freshener (conversely, don’t let the smell of old cigarettes and dog hair put you off an otherwise sound used vehicle). 4. Enjoy a thorough test-drive of the vehicle. This is the best part of shopping for a car. Find a place that can put the car through all its paces – open road speeds, bends, slower speeds. Test the brakes. If possible, test out the off-roading ability of a 4×4 if you are likely to use a vehicle for this purpose (get the dealer’s permission first). And don’t consider just the handling and performance. Are the seats comfortable? If you have a family with small children, consider space in the rear seat for booster seats and car seats – do they fit comfortably? Are the seatbelts easy to reach if you’re strapping a child in? Is there enough space for luggage? Bring a few bags and packages along with you to test the capacity out. If you have larger children, put all of them in the back seat during the test drive (or sit there with them) to make sure that they have enough room. Don’t even start negotiating until you’ve had a test-drive and decided on the vehicle 100%. 5. Never let a dealer know that you are desperate for a car. Even if you’re current car is on its last legs, adopt a casual “take it or leave it” attitude. Remind yourself that carpooling and buses can tide you over if your current vehicle does blow up before you’ve bought a new one. Better still, don’t wait until this stage before getting in the market. 6. Pay for a professional to give the car a mechanical check-up. This is an absolute must. If the dealer isn’t happy for you to do this, walk away immediately. 7. Never hand over your licence or credit card until you have completely agreed on a price. And always read the fine print before you sign. 8. Don’t pay a deposit until you are certain that you’ve found The One (the car you want to purchase). Once you’ve paid that deposit, accept that the purchase has been made, so relax and stop shopping around! 9. Don’t end up dealing with two salespeople. If you feel you’re being ganged up on, either ignore one of the salespeople completely or walk out. Better still, use the “just looking” line and ignore them until you’re ready to negotiate or want to ask questions. If they hassle you, walk away. 10. Don’t fall for sympathy votes by the salesperson! “Forgive me, I’m new at this—I’ve only worked here a week,” or “I could lose my job if I don’t make my target today!” are specifically designed to make you lower your guard. Be cynical and suspicious about this type of sales patter. 11. Don’t make unreasonable offers or lie about prices that you may have been offered elsewhere. You will invariably get caught out and this will hinder your actual negotiation power. 12. Negotiate the vehicle price with all the options included if you are buying genuine options. Once again, doing your homework can pay off here. 13. Get a confirmed delivery date in writing. Make sure that this is realistic.14. Ensure that all on-road costs are included (dealer delivery, stamp duty, registration and compulsory insurance charges). 15. Be wary of “free extended warranties”. Dealer warranties are rarely as comprehensive as manufacturer’s warranties and often carry a vital (and expensive) condition— that you always service the car at that dealership for the period of the warranty. A six year guaranteed captive income is the only reason they can offer this “free” extra. If you’re happy with that or you’re buying from your regular mechanic, then go ahead. 16. Be wary of the following classic dealer lines. They are the pick-up lines used by professional seducers so don’t fall for them. “The car is the only one in the country.” If you’ve done your homework, you’ll know if this is true or not. “The price only applies for today (the bonus expires at 5pm! ).” And they have these special discount days every week, right? “I’ll have to speak to my manager.” Fine, then – we’ll deal with the manager not you and you’ll lose your commission. 17. Use a professional. Concentrate on deciding on the car and then let someone like Private Fleet look after the rest. It really will save you a lot of hassle and time. Remember, we buy over 300 new cars a month. With that sort of buying power, you’re bound to save lots of money – not to mention the heartache of wasted weekends trudging round car yards when you’d rather be doing something better with your time. In fact, we guarantee to save you money, above and beyond what you can do independently or we refund your fee in full! If you’re buying a car and have found this used car checklist useful, please let us know and share! Contact us for more information or how we can help you find the car of your dreams.